Also called the Stephens Island frog, the Hamilton's frog is probably the rarest frog in the world, with a population of less than 300. It is also the most ancient frog, according to fossil records. It is named after Harold Hamilton, who was the first to collect the species. Despite being less than 50 mm (5 cm) long, it is New Zealand's largest native frog. 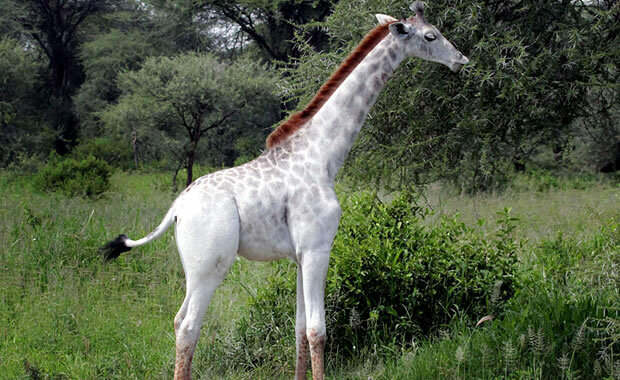 Females are larger than males and may reach up to 52 mm (5.2 cm) in length. It is brown in color (some green specimens have been observed), and its eyes are round. It has granular glands in the skin, which are scattered into discrete patches along the back and sides. Some of these glands are visible on the upper surface of the legs, feet, and arms. These glands help to kill surrounding germs that may be harmful to the creature. A single dark stripe runs along each side of the head and through the eye. This frog can be found in coastal forest and deep boulder banks. It is very dependent on damp environments and quickly dries out and dies if placed in dry areas. It is a ground-dweller and is active only at night. In the day, Hamilton's frogs rest in damp crevices for shelter. They are very difficult to locate since they are well camouflaged, nocturnal and do not croak. Also, they can remain motionless for long periods of time. Diet consists of insects and other invertebrates. Hamilton's frog does not have a tadpole stage and therefore needs no standing or running water for reproduction. Instead, young frogs develop totally within a gelatinous capsule derived from large eggs layed by the female. The male frog guards the eggs until they hatch and then carries the young around on his back. Froglets do not reach maturity until about 3 to 4 years later. They can live for up to 23 years in the wild. Fossil records indicate that this species was once widespread throughout New Zealand, from the Waikato in the North Island to Punakaiki on the West Coast in the South Island. Today it can only be found in a single rock stack on Stephens Island. Today's population appears to be stable. The major threats to the species are predators (such as the black rat and the endangered tuatara) and disease. Also, its small population and range make it vulnerable to sudden decline and extinction possibly brought by climate change or natural population fluctuations. This species has been protected by law in New Zealand since 1921. Currently it is unlawful to harm or remove Hamilton's frogs from their environment. Also, a tuatara-proof fence has been constructed around its habitat, and its population is being closely monitored. Copyright Notice: This article is licensed under the GNU Free Documentation License. It uses material from the Wikipedia article "Hamilton's frog". Glenn, C. R. 2006. 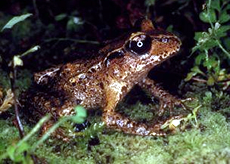 "Earth's Endangered Creatures - Hamilton's Frog Facts" (Online). Accessed 4/23/2019 at http://earthsendangered.com/profile.asp?sp=158&ID=4. Need more Hamilton's Frog facts?